Where Is Now? from Christina Ondrus on Vimeo. The human world is an infinite sea of thoughts and attachments all trying to interact with each other. This is a recipe for disaster, when identity is dependent on these for it to even exist. This is the ultimate reason why there is an extreme lack of peace in our world. Billions of people all with their own identities, no one can agree on the way things should be, because everyone believes that their own thoughts are correct. In this way, identity breeds separateness. Separateness breeds disagreements. Disagreements breed turmoil. This is where the lack of peace is manifested. From an unflinching desire to hold on to any and everything, even if it does not exist — illusions. Past, future, good, bad. For whom is it that is good or bad? Where is your mind, in fact, when is it? If the things in your mind do not truly exist at all, than why does one torture themselves for an entire life, clinging clinging, running running. Always running. Always clinging. Always attaching. An idea pops into the mind, and immediately it must be realized. On with the running. Run run run. Running until the grave is dug. Finally, no more running. The sun will rise again regardless of the fulfillment of thoughts. Pain is done to oneself. We must find out who we are. We must find out when we are. Categories: In The Words of Zen | Tags: mind, now, peace, separateness | Permalink. I do not preach peace, nor do I preach the opposite. Understanding of the true self creates what it creates, which we have named peacefulness, or stillness of mind. In this way, there is no objective of stripping away of greed and hate, for cultivating the true self will cause greed and hate to fall away of their own accord. What remains is thusness, and in this thusness is unity. The urge to be better than others and have more than others simply has no place to abide. It is akin to facing an opponent who is stronger than you and more powerful. He can destroy a person with one blow. But what will he do if he can not catch you? What will he do when you are not there to receive the blow? He can do nothing but give up and move on. This is where one will meet Zen, on the battlefield of existence.When there is no place or thoughts to cleave to, where is it that they will survive? 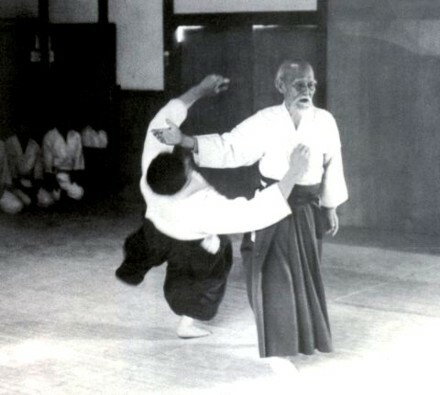 Categories: In The Words of Zen | Tags: Aikido, buddhism, enlightenment, peace, thusness, zen | Permalink.